You are here: Home / CritterGuide / CritterGuide / 14. New to Science! Every diver has been there. Seen a Critter that you know you’ve never seen before, and can’t find it in the Guide Books, so you proclaim it New to Science! Sadly, most of the time some 19th Century Naturalist got there before you and put their name on it in latin. Here are some Critters that made us run for the Identification Books in the hope of finding taxonomic immortality, only to be disappointed. Pipefish were one of the early CritterWatch posts (check out 3. 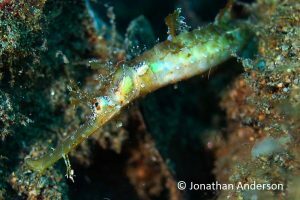 Are Ghost Pipefish Really Scary? ), being so numerous and spectacular, but the Winged or Whiskered Pipefish, with its horizontal pairs of “wings” is every bit as bizarre. They come in a variety of shades, and the pair we found were mottled brown and golden yellow. The similarity to Sea Dragons, which are rare in the Philippines, were what caused the initial excitement of perhaps having discovered a new species, but someone called Bamber first documented them in 1915, so only 102 years late in our discovery. 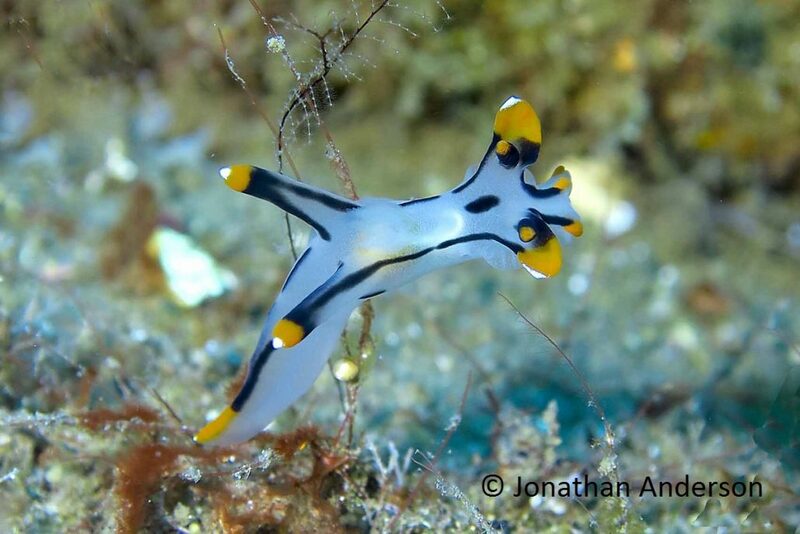 A Nudibranch of the DORID family (see 6. 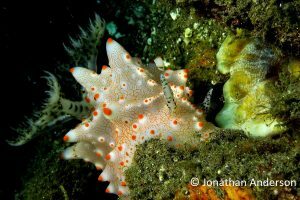 Do you Nudi? ), on first glance this Critter looks like a bit of transparent handkerchief waste sporting a couple of sprigs of mouldy parsley. Then we noticed it moving and exploring the rocks (a dead giveaway for a Critter), and we knew we might have discovered something New to Science. Sadly, it was first described in 1982, so 34 years too late. Like all Nudibranchs, the Batangas Halgerda is a mollusc, but having lost its shell to evolution a long time ago, has to rely on defending itself with the toxins it absorbs from its diet of sponges to be repellent and unapproachable to would-be predators. We all know someone like that. 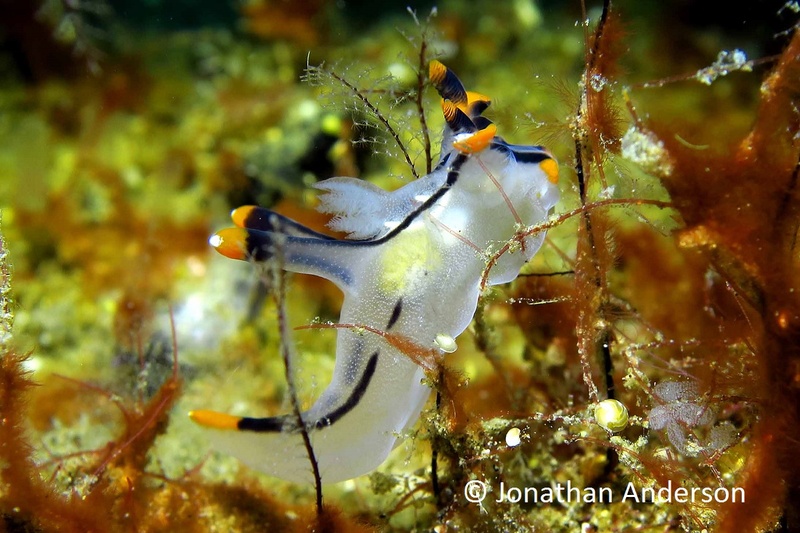 Another DORID Nudibranch, this little guy was climbing about on a concrete mooring block at 30m. Transparent enough to see what it had for lunch (sponge, again), it belongs to a family of sea slugs known for their long colourful appendages and should be more common that it seems to be. Renowned Scottish Naturalist John Fleming (1785 – 1857) first described Thecacera in 1828. His book History of British Animals influenced Charles Darwin, offering as it did an assertion through studying fish fossils found in rocks far inland that the Earth must be older than the age accepted at the time of 6,000 years. We don’t feel so bad being beaten to this little guy’s discovery by an eminent 19th Century scientist. There will always be the chance that the next encounter with an unidentified Critter, it will be New to Science!